Ncase design really hit a home run with this case - the fit and finish is superb and the layout is perfect.This really let me build a system that slipped under the radar whilst still hiding the full geek out inside! This parts list is final but the project originally started with an air cooled CPU using Noctua's NH-D9L mini twin tower and an NZXT Kraxen X31 AIO with G10 bracket for the GPU. As all current Nvidia GTX series GPU's overclock the same under adequate cooling, the cheapest founders edition was used. This setup was both quiet and cool with minimal noise. However, it was ugly inside with the stock PSU cables making a mess and the X31 tubing tilting the GPU on a strange angle. I decided at this stage that a custom loop was the only way to solve the internal fitment issues so I went all out and rebuilt. My ultimate aim was a bottom radiator build with a custom loop - something for me to admire with the side panels off whilst remaining living room friendly. Initially I started out with an EKWB Coolstream SE 240 radiator and a EKWB SPC-60 pump. The pump is extremely quiet and highly recommended for a simple loop. In the M1 the tight fittings and 90 degree bends means it slightly lacks power*. The EKWB radiator was a mess - too dense, poorly made, misaligned ports, bent fins and slightly too long to comfortably fit into the bottom of the M1. To fit this on the bottom of the case, the front I/O connectors were cut shaved down to fit the bottom radiator and the mounting screws cut down to 2.5mm. Unfortunately, temps for both CPU and GPU were worse than the air/AIO setup. This was due to the high radiator density and low pressure provided by the slim Silverstone FW121 fans. The radiator was swapped out for a much freer breathing Hardware Lab 240 GTS and a 92mm radiator added to enable the use of lower fan speeds. I cut out the bottom radiator shroud so the slim fans sit within the shroud right on top of the fins. This gives the fans more breathing room under the GPU. The fans are a simple friction fit - they need to be levered out. Both Hardware Labs radiators are great - straight edges, nicely aligned ports and the fins were all perfect. The bottom of the case was also cut out and fan grills used to protect the radiator during handling and transport. Taller case feet are used to give the radiator more breathing room and to help reduce fan speed. Previous to this, the lower fans needed to be run on max (2064 rpm) to notice any airflow at all - now at 840 rpm there is a noticeable breeze coming from the bottom. A swapped in an EKWB DDC elite pump because it has the included heatsink which is a must have for the DDC series. The old SPC-60 pump is quieter but unfortunately there are limited reservoir options. A bitspower Z-tube was used because their construction quality is great and the acrylic matches the rest of the case. This moves all the water cooling parts inside for a cleaner look. I can't stress enough that having 2 radiators is essential for a bottom radiator build. With these in place, the CPU is overclocked to 4.5Ghz and the GPU to 2126MHz / Memory 4594MHz. This runs comfortably at around 60/55 degrees on the CPU/GPU at around 50% fan speed. The CPU is delidded and runs with EKWB Indigo XS which is nerve wracking to install but works great. My only regret for this build is that I wish the cables were neater. If I have time in future I will re-do these. Thanks for sharing this build, the amount of detail that you've put into it has really helped me put together a shamelessly copied system of my own https://pcpartpicker.com/b/QK29TW. You're build looks fantastic and the recent modifications you've made to switch it to hardline are great I don't think I'd have been half as successful if I'd done this on my own. I'm glad it helped you out! Really - the Ncase community is pretty awesome. I feel like I'm just repaying my debts..
Hat tip for the shout out. It's awfully nice of you. I actually think in some ways the hardline revision is easier to build. Being able to have shaped tubing runs is a help when compared to trying to jam those compression fittings onto soft tubing. That's interesting, I figured it would be a lot harder. Might be something to try out in 6 months when I get bored with the current setup. I do like the cleaner aesthetic that hardline provides. Dang man, that look awesome ! I certainly learned a lot doing this build.. Very nice build! You did a great job making the flexible tubing look like hardline tubing. It's a shame you can't see the window when you're sittin at your desk. Oh... I have been tempted to make my own side window. But I'm not sure it's so lounge room friendly. I do have space to move the case to the other side of the desk however - maybe I'll give that a try. Yeah give that a try. I'm the type of person that will just frequently glance at my build, non-stop! Makes you feel proud! Stunning build and cat mate. Just gorgeous! Glad you like it. It was my first time using EKWB parts - I was surprised how smooth all the fittings were. I'd be curious to see some side pics with the panel on. can you see the guts through the vents at all? Here you go! - At night it's a full light show. - During the day there's a soft blue glow. The UV light looks quite pink/purple in images but it's a solid blue to the eye. It's the nicest case I've ever had. Despite it's silly small size - it's kinda perfect to build in! It's a Magicforce with some extra blue gradient keycaps. It's a great budget keyboard. Holy **** its beautiful man, wonderful colors. Looks great, man! I need to re-try cable mangement with stock Corsair cables soon. Likely getting custom sleeved/length cables in a few months. I was originally planning on watercooling the GPU only in the future too so your build is giving me some ideas. I've so on the fence about custom cables... - I ordered my cablemod cables basically expecting perfection. Ha! - At the same time I actually bought all the tools/crimps/sleeving etc to do extra cables. With what I know now... I would have skipped custom and just done them all myself. It would be cheaper, faster and better looking. If you're doing more than 1 computer then buy the tools and just give it a try. As long as you go a single cable at a time you'll be a-ok. It's actually quite easy. If not - any improvement over the stock cables is great. I'll look into what goes into doing it yourself. I like working with my hands but I've heard that doing them is a *****, haha. I'd love not to have to pay $100 for shorter, nicer looking cables. If I did do it myself, I would have no plans on doing it on another PSU anytime soon. Thanks for the input! Amazing build and incredible detail about the build. Thank you for sharing with us. I plan on doing a Ncase M1 build also. Still deciding between 90 / 240 rad and 240 / 240 rad. Think I am leaning more towards the 90 /240 like you have now since you have come up with some great ways to decrease temps. I really want to aim towards as silent as possible as well as cool temp. 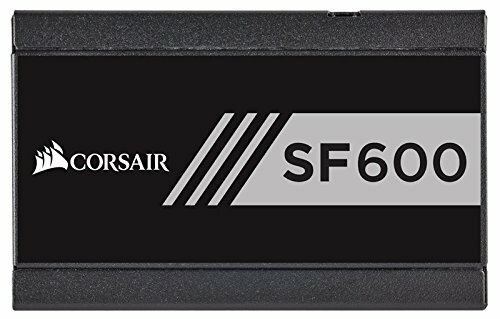 Any advice on some slight changes to your build would be awesome or if your build is pretty silent already. Did you use liquid metal to replace the stock paste? Which one did you use. Did you re-lid or float? If you did re-lid what did you use to re-lid? Also I saw in a few where they put the liquid metal on the lid and the cpu die and most where they put it just on the cpu die, what would you recommend? GPU any thoughts on using liquid metal on Gpu die? What's the air flow direction for each radiator back and bottom? Plexi or Tempered glass side, any plans to add one or do you think it will effect the temps too much? I will do a build video and info sheet when I build one as well tho it will take some time to save money an well order / wait for the Ncase M1. Looking forward to building it. I started with using a mix of prolimatech PK-3 under the die and between the waterblock. I then tried PK-3 and EK Indigo XS which resulted in better temperatures. However I'm now using Coolaboratory Liquid ultra(CLU) under both die and waterblock with even better results. Primarily I think this is because of the CLU under the die. I'm using it again on the waterblock more out of convenience. - this setup is what I'd recommend. Just work slowly and paint it on the IHS and waterblock outside of the case to be safe. I wore gloves and dropped them both in after they were painted with CLUB. I did a relid in all cases with liquid electrical tape to "glue" the IHS. I remounted when still wet making sure to offset the IHS so the CPU clamp could slide it back to centre. I painted a slightly larger area under the IHS to accommodate for this. I see no issue with using CLU on a GPU except the GPU is not the warm component when water cooling generally. The CPU will benefit most so that's what I'd stick with. But if you're starting from scratch it wouldn't hurt!! Airflow is exhaust for both radiators, no filters used. Just a shot of canned air now and then to clean up. Cool thanks for the response. Interesting you added to waterblock as well were you not worried of it traveling down the lid? as the lid is metal. and CLU from what i here can travel on metal surfaces with temp. IE GPU videos I ave seen people recommend using clear nail polish or some sort of non conductive heat resistance substance over the exposed spots near the GPU die as there are some exposed spots around the die relatively close to be safe. I will have to give the water block a try and find a away to seal off or block path to components near by if any. Also i think you noticed wen you spread the CLU that you have to push it into the metal to get good bond. I have found several places with people tat ave used it a lot say for best results to paint on both surfaces tat make contact. In case you do it again. Kinda like if you solder 2 wires if you tin jut one it can be tricky to get good bond on both wires but if you tin both wires they solder quickly and smooth better connection with less material. So when you delid you will see the old compound pattern on the lid ive seen people o a very light score on it to mark location then place a small amount on lid in matching surface size and area as where it touches the Die and put a small amount on the die then when you match both surfaces yo get much better contact. It makes sense as it kinda acts like liquid solder. Less is more but full contact surface and on both surface for best conduction. I'll let you know how it goes with GPU when i do it. Watching the videos i saw i feel much more comfortable doing it now. I'll have to give the Water block a try as well. As far as the radiator flow for rear and bottom Rads. Do they air flow into case or out? I can't see migration as a problem. For one there aren't cautions from the manufacturers against using CLU or alike on waterblocks. Secoldly I assume people are correlating the low viscosity of the product with flow and wicking. Neither should necessarily be true given the same properties allow for a minimal amount to be used. I did paint both surfaces in my application. I think you'll find it to be very easy to apply. No harder than a traditional paste actually. Good luck with your build! Hope you post on [H] where there is an epic Ncase M1 thread. Hey how does the 1070 perform with this monitor? The 1070 is great! I run BF 1, BF4, Titanfall 2 at ultra everything and max out the refresh at 95 frames consistently. Resolution is always 1440x3440. GTA V is a bit tougher and it does dip a bit more, running from 95 down to high 70's sometimes - however it likely that this is due to the CPU as it is being maxed out. Thank you and sorry for the late response. I have a 1080 so I thought I'd get see what the bare minimum requirements might be for this kind of monitor but it looks like 1070 is more than enough. Well after looking at a lot of build looks like you have it down to a science. Was thinking of getting a m2 960 Pro 500 GB but yours at 1 Tb for the price looked better how is the speed on your M2 think much difference in speed between the 960 Pro and yours? Wanted to use it a a place to start might to more changes ATM its looking good as is. Really want the Gigabyte Aorus 1080 TI Extreme but won't fit stock. Waiting on the PCB dimensions. EK is coming out with a water block for it in May I think. If it will fit I will prob go with that. $3318 Wow lol Will be the most expensive rig I have ever built and the smallest. My first SFF was the Shuttle, like back in 2004. Was a nice portable back in it's time. Gonna have to save some money still in planing phase. I'll make a build log and pictures maybe a video when I build it. I'll let you know when it's done when ever that is lol. Had a look at your list - It's going to be pretty damn amazing... That 1080Ti has me so jealous! Some things for you to consider: - I swapped out my EK CPU waterblock for a heatkiller IV Pro Acrylic ( http://shop.watercool.de/epages/WatercooleK.sf/en_GB/?ObjectPath=/Shops/WatercooleK/Products/18003) after my EK stripped on the top-most fitting. It was likely a result of user error as I installed the fitting so many times during construction I must have over tightened. So far the Heatkiller is fine - you can ask for a version drilled for LED's when ordering but mine is without. Quality is beautiful - the mounting system is better than EK but the acrylic thread depth is basically the same. It's a tie on which one I'd use. Maybe I'd be inclined to re-use the Heatkiller if only because the block is clearer when it comes to seeing the cooling array - any blockage would be immediately visible, where on the EK it's hidden by the surround fluid. The M2 is great. I honestly don't think the faster speed of the Samsung Pro series is worth it when the differences in read world loading speed might be measured in seconds or part thereof. Against the trade off of potential thermal throttling and cost I'd be happy to use the same spec again. For me, I find it's far more hassle running out of space. Games are so big nowadays it really hurts transferring them around. Thanks for updating that spreadsheet. Man.. that was so helpful when I did my build. I love it when the community bands together for stuff like this!! Looking forward to seeing your build!! I like doing spreadsheets and it looked like it needed help hehe, also like ehlping ot good communities and the Ncase community seems quiet helpful. Out of curiosity how quiet is your rig with WC? I want to build a rig that is quiet 1st look cool second. Any recommendation to further quiet your set up? Also thanks for answering the questions and updating info as you change your rig so helpful. So got someone saying that c14/accelerowold be more quiet than water cool when overclocking what do you think? And how quiet is your rig when OC? Ahhh... this is probably the hardest question to answer. Firstly, my rig is always overclocked. No sense in abandoning the extra "free" performance. Quietness is so subjective. I sit about 1 ft away from my computer whereas most people will have significantly more space. My experience is probably not that relatable. 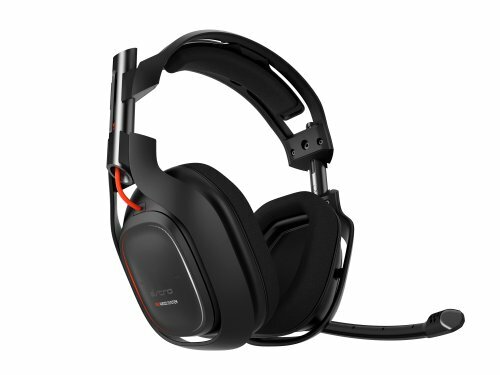 Ultimately an all air setup has the potential to be quieter. No pumps, no radiators, fewer fans... The trade off is that it will be hotter. Of course, even though it is 100% fine to run your GPU and CPU at 90 degrees, few people want to do that. 1) People post temps, but don't state what they're doing when they post temps. Is that gaming? What games? What settings? What resolution... Is that benching? Are you running that from boot? Or after two hours of heat soak? 2) So leading on from this... what temps are you aiming for with your fan curves? What about temp spikes? What do you do about the period when the water loop is heating your CPU/GPU above their loaded temp? Personally - I try to run my bottom fans around 1200 rpm max as anything above this and they are noticeable. The rear 92mm fan can be run a little higher, around 1500 rpm for the same noise. The fans are set to run from CPU temp - There is definitely an art to setting fan curves as there needs to be some lag built in so the temperature spikes don't also spike your fans. I'm pretty happy with noise. I think I would be happier if I purchased something like the Aquaaero to control fans based on water temperature / CPU temp so the finer control. But overall I'm happy. C14/accelero I'm sure are also fine alternatives. It's too hard to give an answer as to which is better for the reasons mentioned above. Personally, I'd be happy to give them a go also. Hope that kinda helps.. No easy answers here I'm afraid! No very helpful. Your just as gifted in expression of words while being very informative. So I have decided to go with Noctua NH-U9S and ARCTIC Accelero Xtreme III to start. This should keep my cost down as the beginning investment is quite large already in my starting build. It will also be good to have an air cooling system on standby in case WC becomes an issue when traveling by air. I do plan to do the water build tho and prob close to what you have with minor changes depending on what is available at that time. Deff plan to Delid, tho I'm thinking of using Thermal Grizzly Conductonaut instead of the CLU, heard it's better. Gonna go nuts and use for CPU, GPU and depending how things go I may even try between the Lid and the GPU block. I'll let you know how that goes. I've already migrated the info links to his, nice group of people. Hope to see you there some time. Woah. This is the most beautiful NCase M1 build and setup I have seen. Great job on the lighting! Now, I understand why you asked about my FW121's on my side rad, haha. I also wanted some way to dissipate the heat from the VRM on the mobo. Btw, I will be creating a new build page for Mini Myte. It is now quick-disconnected with a water chilling system. I'll be pretty excited to see you sub-ambient M1! I don't think I've seen that before... - Do you use that for your design work? I use my workstation for 3d animation. Chilling unit is not needed when I animate. That would be overkill and wasted power (450W just from the chiller). I use the chilling unit when I am spitting out the final renders, which renders for days or weeks. Thank you for sharing your case feet mod! This is most helpful. Right now my case rests on the bolts from my bottom rad, haha. You'll love the range of "audio equipment feet" available on e-bay. Basically any height, and colour you could possibly require. Lian-Li also do some stackable case feet that are similar to the stock M1 feet too. Niceeee. Yeah, I am looking at some of other kinds offered. I need to buy ones that are a little taller than the ones you bought and thankfully they are available. They'll just take some time to trek halfway around the globe. 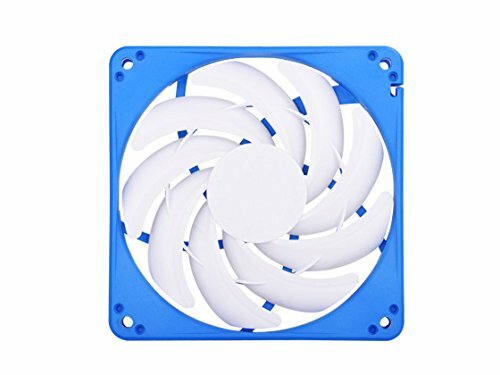 Will putting the bottom 120mm slim fans below the radiator in a push configuration benefit temps? Or is that config of fans the best for temps? The fans on the bottom rad are working in push already. The hot air is exhausted out through the bottom of the case. I found this gave me better temperatures then intake. There are several articles that suggest at low fan speeds, push is marginally better. The difference is small however and varies across radiator designs. That's really a terrific build - thanks for sharing your experience. I wish I'd scanned pcpartpicker before starting my own water cooling adventure in an NCASE M1, there's much to learn from your previous trials. I'm particularly interested in the comment that a second radiator is required. Interestingly, I have a very similar layout - all my water cooling components are bitspower brand (except for the radiator where I have a black ice L series 240), silverstone slim fans, and have the same exact pump/res combination as you, ostensibly in the same location. Unfortunately, my GPU waterblock is thicker than I had anticipated and I can't fit the fans and the radiator underneath it - with 2-3 mm extra clearance needed. How did you cut the radiator? I'm not sure if that will get me the clearance I need, but it might be worth a shot. I also noticed you thought the EK SE is no good with those fans (I was hoping using that might resolve my clearance problem as it is 5mm thinner than the L series). How did you mount the reservoir? I found that I could attach it without drilling through the hard drive grommet slots, though it feels a little hacky. Cutting the radiator - I measured the fan frame size and ruled some straight lines on the radiator to suit. Then it was a case of using a dremel and a cutting wheel. It's important to go slowly as it's very easy to cut into the fins underneath. I ended up padding the fins with as much thick cardboard I could fit in as possible. I highly recommend doing this! You will get approx. 4mm extra clearance from the GTS radiator. My pump/res is mounted to the front panel which I simply drilled through. However, due to there being some existing cut outs, I'm only using 3 screws. There is a long thread on Hardforum on the NCase M1 - There are some people who've done similar builds. I'd go so far to say that cutting the entire case bottom out is a necessity. Just convinced me to watercolor my new Ncase build (its all aircooled right now so its quite loud). Just to confirm, as long as I buy whats on your part list (except with using my cpu and gpu water blocks), I should be good right? Also, why didn't you use noctuas fans? Surely they would've had better performance. I have a 7600k, 1080, and the rest is pretty similar iNCASE (no pun intended) you're wondering. Yup... the only changes I've made were to swap the CPU block and to use CLU on everything. I can't stress enough that you will need to cut the bottom of the case out if you want to run with low temps. The bottom radiator needs all the help it can get. Others have tried and failed - of course I tried without cutting it first hand so consider yourself warned! Not sure if I have the proper tools and skillset to be able to cut the bottom to be honest, also would lower the resale value quite a bit. Is there an alternative solution? You can try push/pull in the bottom with tall case feet. This would get you someway towards an acceptable loop temperature. Aesthetically its not as nice. My guess is you'd need case feet around 40mm tall and you'd get 70% of the performance of doing the cut out. 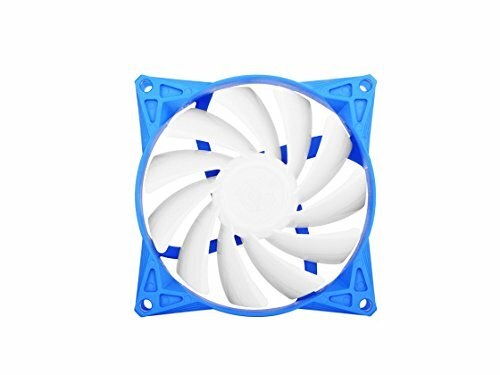 Would sticking the radiator on top of the fans (making the fans be at the bottom) help it more? Longer explanation: Whether a fan is working in push or pull has very little bearing on its working efficiency. There are some cases where one or the other is marginally better (push on a radiator when fan speeds are low for example) but the difference is marginal. The main issue is the lack of breathing room for the bottom radiator. Putting the fan on the bottom changes little unfortunately. Why'd you go with a bottom mount setup when you're not putting a window on the side? It's easy enough to pull the panel off (as it is with all the panels on the M1) and have a cheeky peek when I feel. Being internally lit with led strips, there is a nice view of the internals whilst being reasonably discreet. Doubly so at night.. that said, if the ventilation holes extended further down the side panels it would be even better! The bottom rad layout is easier to access and clean without disassembling anything versus a side radiator placement. Hey man, awesome build. Will plan to do something similar. Does the Nemesis bottom rad fit without modding the front io? Really would rather not mess with io. Also did you have solder wires to mount the Z-tube on to the ek pump or is just a simple screw in? The bottom rad will most likely fit without any issue. However - have the bottom rad as close toward the front of the case as possible is important to make space for the fittings going into the radiator. The length of the graphics card will make screwing the fittings in difficult. An alternative is to put your radiator on top of your fans - this spaces the radiator above the front I/O connectors. The Z-tube is a simple screw fit. No wiring involved. Thanks for the fast reply. Really respect how well you did the soft tubing. Bought a bunch of angled adapters and hope I can make it look as good as yours. Also I see a top angle fitting onto the res that doesn't connect anywhere, is that just to drain or insert the coolant? Spot on - the top fitting is at the highest point for filling. You'll need it to slowly top up the res as the system bleeds. So the same top fitting can be used then. I use a spare length of tubing and a compression fitting to attach it. Makes the whole process much safer. Smart, why don't you remove the tubing and close it out once you're done filling though? The loop can only be filled about 80% in the vertical position. The rest needs to be topped up slowly as the system bleeds. Hence the 90 degree port on the res. If you're asking why the 90 fitting is left in place... to seal this with a full loop full of water is both tricky and risky. There is nothing to stop the water column which is higher than this plug from pushing water out when you try to remove the 90 and plug the res. Repeat for when you want to do maintenance.. it would look a little cleaner but its not worth the risk. I don't really see how you implemented this? & Since the hw labs rad is thicker than the ek yet you have almost the same amount of room. Can you elaborate on what exactly you did here? I would prefer to get the HW labs rad just for the sole fact its less fpi but i'm not entirely sure how to give the fans more room. Water cooling radiators are made of a bunch of fins and tubing. Surrounding this is a metal shell or frame which I'm calling the shroud. Normally you just screw the fans onto the radiator. Thus the fans are sitting on the shroud. The shroud itself is constructed to leave a bit of space from the fins themselves. What I did was take a cutting tool and I cut away the frame of the radiator, being careful not to damage the fins. The part of the frame I cut out is exactly the same size as the plastic frame of the fan. So now the fans drop into the frame of the radiator and sit directly on the fins of the radiator. So now my fans sit directly on the fins - the fans are essentially sitting "inside" the radiator. This lets me claw back 4.5mm. So this is 0.9mm better than if I was using the thicker EK Coolstream SE radiator. This image shows how the fans sit INSIDE the radiator frame (shroud). If you compare the ribs on the side of the fan frame you can see how deep it is sitting. Total saving is about 4.5mm. Actually there's enough room for a full 5mm but they just sit at 4.5mm because of the side friction. I don't want to warp the fan frame by pressing them in further. He's a bit bigger now! The days of lounging on top of the case are gone. He can sits.. but he barely fits..
As you probably know your rig is amazing, but dude, that desk set is shaaaaaarp. Arigato... Necessity is the mother of invention they say. yo does the fact that you removed the RAM heatspreader affect the temps ? No not really - Now to be honest, I can't give you a specific figure because I've long forgotten. But it wasn't enough to concern me. Technically DDR4 can run at up to 85C without issue. I don't recall mine going much over ambient ( measured inside the case so lets say 45C) even overclocked to 3000MHz. The thing is: DDR4 RAM just doesn't really get that warm. The heat spreaders are nice, but they're mainly for show - not that I'm complaining! I love that we get nice looking RAM nowadays. Ok cool. It looks pretty good without the heatspreader. 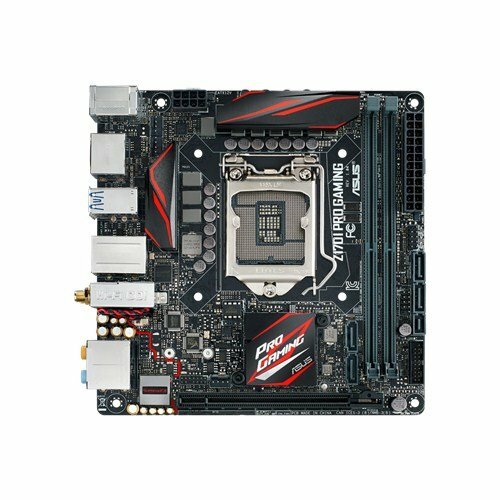 how does it work with your motherboard software? Because i was going to get Trident Z rgb but there are some issues with ASUS software. I guess it can corrupt the RAM modules or something. Now i am plnning to get what you have because there are supposed to be less issues. Mine installed without issue. I selected the XMP profile from the UEFI menu and applied the settings. It was that simple. I haven't as yet found a reliable guide to RAM overclocking - There was too much contradictory information to sort though for little payoff so I never bothered with an other tweaks. ok i am just wondering about the rgb controlling. 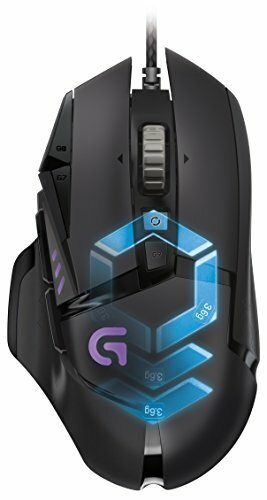 i want to make sure the corsair rgb controller does not clash with ASUS. No experience with that... Can't help you on that one! Awesome build! Thank you for sharing. Btw, what monitor stand is that you're using? Thanks! I'm using the Herman Miller Flo arm - Great price to performance ratio with a clean aesthetic. I loved the Human Scale M4/M8 but they were a little too shiny and office like, although the quality is great. The Ergotech freedom style just had too many different colours/texures and plastic for my liking. Great! I'll have a look. Thanks for the great suggestions. 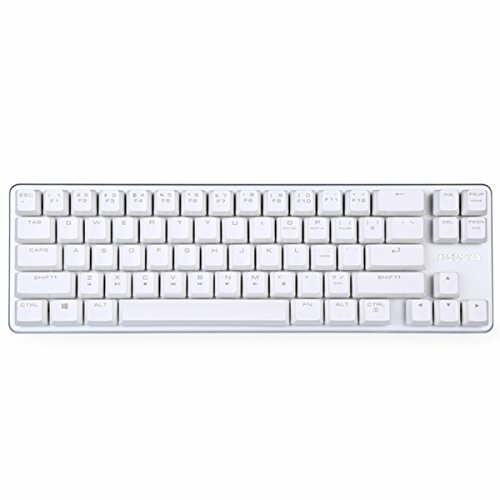 I've since upgraded to a Logitech G900 which I adore (The battery life isn't great though), and a Whitefox keyboard. Not sure I can recommend that based on cost/performance though. This build used EK Pastel at that time. This was effectively Mayhems pastel (rebranded). Over time however, the maintenance of the pastel coolant became a no go for me. Perhap it was because I used a UV additive (also mayhems). But clear coolants require less maintenance for me. Some answers and thoughts for you: Absolutely - ditch the EK radiators. They don't really make sense to me - far too dense even with a full sized fan for their thickness. The quality - Shocking!! SHOCKING!! I would say in a dual radiator build, 70% of your cooling will come from your side radiator. It could be even higher depending on how much space you manage to clear on the bottom under the GPU and how far you can raise the case off your floor/desk. It's not really necessary to cut the bottom radiator - plenty of people don't, but if you take your time it's do-able. As for recommend - yes. The radiator is relatively cheap so I think it's worth trying. The bottom location is heavily compromised so anything you do will help. That said - the side location is so good if you're not confident, don't sweat it... you'll be fine. My de-lid was actually really easy - I just used a double edged razor with one side wrapped in heavy tape. I left about 1cm of exposed blade to ensure I didn't cut too deep. Just shove it in starting with the corners - work around, no need to do it in one shot. On skylake there are no surface mount components to accidentally cut up so it's relatively safe. Far better in my mind than the vice method as the PCB is too thin. Finally - I think soft tubing is better for travel. The slight flex will mean bumps and jolts are absorbed. With hard tubing, your long lengths, now heavy with fluid at supported only by friction from the o-rings inside the fittings. Compare that with soft tubing where the tubing is physically captured by the compression fitting.... Soft is safer in my mind. Hope that helps you with your build! P.S - you might save some money by using the SF450. It will still be more than fine for your parts list. Haha.. I have been tempted. But I live in a small apartment and the computer is on full display. To be considerate to my partner I've tried to keep everything clean and tidy. Not sure she would appreciate a glowing blue window of computer parts! The FrozenQ res is kinda perfect - you just run your compression fittings to it and they line up with the holes in the back of the case. It's a nice piece and very easy to use in practice. The machining on the sides isn't the best but the rest is great. There are steel inserts for the included mounting screws and all plugs are included (minus two because you'd be using these spots for your connection). I used the internal res because the rear 92mm radiator needed the space to breath. I briefly considered using the FrozenQ anyway and offsetting it from the rear of the case with some spacers but it would be baking in the exhaust heat and it would compromise air flow. The only downside is that like many others, I found ordering a long and tedious affair. Expect long wait times and inexplicable delays. I recommend buying from Performance PC directly instead of FrozenQ. It's a Herman Miller Sayl. It's debatable whether it's worth it. On one hand it's unique and for me aesthetically nice enough to live there on display. It is also amazingly comfortable. On the other hand, the construction is not up to par with the price, there are many creaks as the trims move around the tolerances are not great. Overall I'm still happy with it, but for me the aesthetic and comfort were the main drivers. I'd probably get the Herman Miller Embody if aesthetics weren't as important. Thanks! I'm glad I had forceps handy to route all the cabling.